Woo Hoo Best of Show! Today I took my family to the Coastal Quilter’s Guild show where My wild women quilts were awarded Best of Show. I was pretty proud. 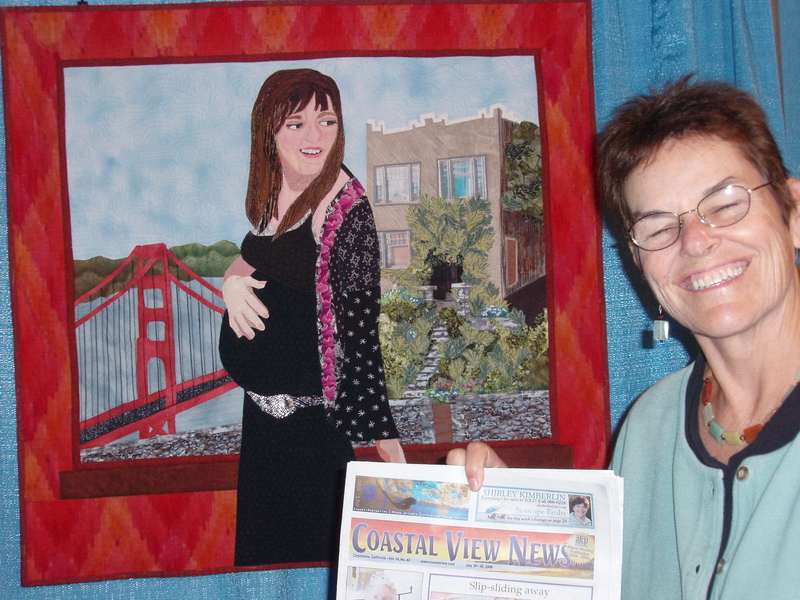 My daughter in law, Suzanne, (the one in the San Francisco quilt that was in the West Coast Wonder’s exhibit at IQA Long Beach) said that being related to the winner of the Best of Show was like being with the David Bowie of the quilting world. She said that people turned and stared at me when someone said, “There goes the quilter who made the Best of Show quilts.” I was pretty jazzed!!! 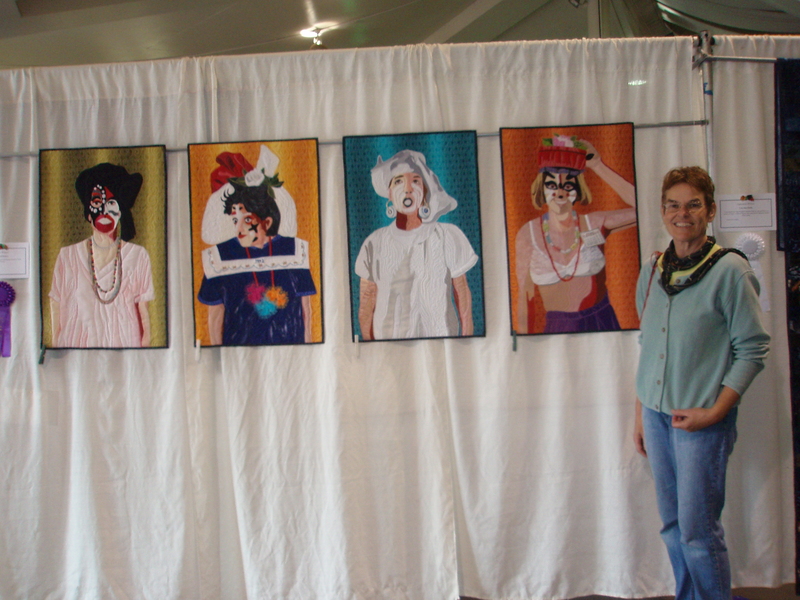 Here are photos of me with the “Wild Women” quilts, and me with “Suzanne” at Long Beach. How dorkey to have you picture taken with your quilt… Oh well, I admit to a certain percentage of dorkiness. This is me standing beside my quilts. I am holding up the home town newspaper. You are currently browsing the archives for the Best of Show category.